Download music, videos, ebooks and more! Download free e-books on various subjects for fiction and non-fiction. Offers over 2 million free books and texts. Also has a selection of feature films, software, and audio. Offers over 40,000 free e-books. Comprised of a university press consortium, Project MUSE is a Humanities and Social Sciences database that provides access to free, full text books and journals. Download ebooks directly to your Nook with this app. 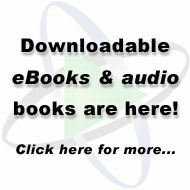 Download OverDrive ebooks directly to your iPhone, iPad or iPod Touch. Download Kindle ebooks to your iPhone, iPad or iPod Touch. Download the Overdrive Media Console app for library *ebooks and audiobooks for Kindle. Download the Freading app for iPad and iPhone to read in EPUB and PDF formats. Download the Freading app for Kindle Fire and Kindle Fire HD. You will need to create two (2) accounts to use Zinio for Libraries. One account for the Library portal where you can check out magazines for free. One account with Zinio.com to read magazines and manage your library online or via the Zinio app on your mobile device. Both accounts must use the same email address in order to synch properly. If you have an existing Zinio.com account, be sure to use that email address to create your Library Portal account. If you create a Library Portal account using a different email address than your existing Zinio.com account, you can edit your Zinio.com account to change your email address on record to match. Please be aware - You can only check out magazines for free via the Library portal. If you subscribe to any magazine directly through Zinio.com or the Zinio app - you will be charged for it. Zinio.com and the Zinio app offer "Free Samples" but these are not free magazines from the Library. If you choose to partake of any of these "Free Samples" you will be asked to pay for them after a certain number of issues. Zinio.com may send you emails offering you the opportunity to pay for a subscription to a magazine that you receive through the Library portal. You do not have to pay for any magazine that you checked out through the Library portal. To opt out of promotional emails from Zinio, sign in to your account at Zinio.com, hover over your name in the upper-right and click Account settings. On your account settings page, click Preferences on the left and change your Email Preferences.